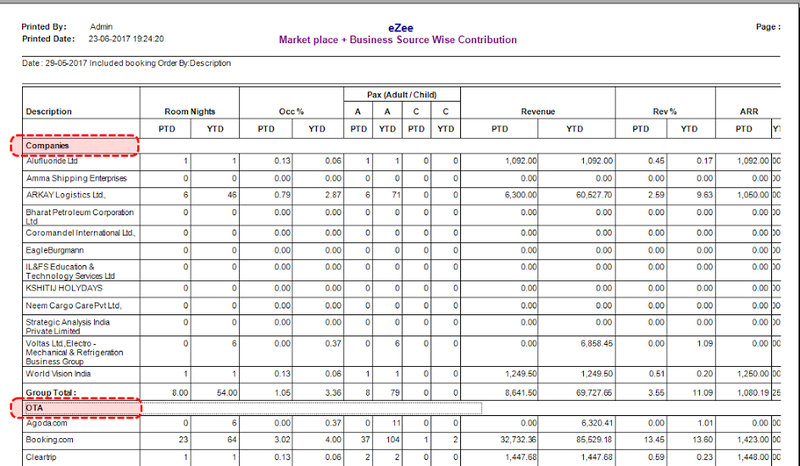 This report choose each time market place and source and have separate report for each of them. In this report selection, the panel selects each Market segment on which you want to bifurcation. Please refer below screenshot where by its showing Companies & OTA as Market Places & rest of sub-category as business source. Its also showing PTD(Periodic Till Date ) & YTD (Year Till Date) Room Nights Counts. Its showing PTD & YTD Occupancy in Percentage.